Courtesy of ISLAND REAL ESTATE-ANNA MARIA. Beach Hideaway & Proven Investment Property! Average gross annual income exceeds $61k for the past 5 years. Palm Court South first floor courtyard with adjoining Studio & Hotel Room. Studio offers full kitchen which is perfect for an extended stay. Hotel Room is perfect for that quick day trip to the island. Open up connecting door for a spacious suite.Features: Mexican tile floors, crown molding, large walk in showers and a cute courtyard area to relax in the evening. Tortuga Inn is an Award-Winning Beach-to-Bay resort on unspoiled Anna Maria Island. This Trip Advisor#1 Beach Vacation Destination is located directly on Sarasota Bay with two heated swimming pools. Cast a line off the fishing pier while enjoying the sunrise. Daily boat dockage rental possible thru front office. Tortuga’s pristine & private white-sand beach is located directly across a small, two-lane street, on the turquoise waters of the Gulf of Mexico. Just a short stroll away lies Historic Bridge Street with numerous boutique shops and restaurants. Or catch the free island wide trolley right outside the driveway and explore the individual styles of Holmes Beach and Anna Maria. Tortuga Inn Resort is pet friendly! Complimentary laundry facilities on premises. Flexible nightly, weekly & long-term rental policy is maximized with professional on-site management. Repeat & Referral guests provide proven positive cash flow — above all operating costs. Please, send me more information on this property: MLS# A4431979 – $347,000 – 1325 Gulf Dr #136, Bradenton Beach, FL 34217. 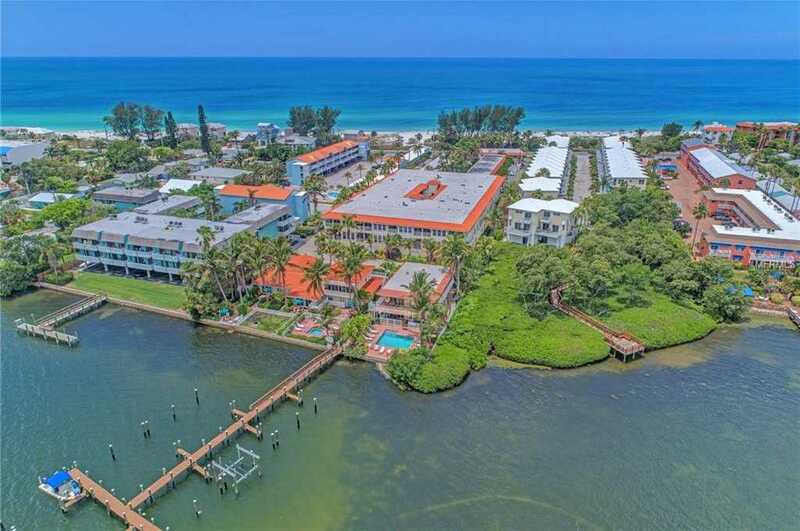 I would like to schedule a showing appointment for this property: MLS# A4431979 – $347,000 – 1325 Gulf Dr #136, Bradenton Beach, FL 34217.